As well as the quest for musical perfection, we have managed to pick up a side quest that involves eating lots of good Laksa. Problem is, there are also some terrible ones out there which makes it really bloody hard. Imagine if there were thousands of rings just lying around in Lord of the Rings and they had to find the real one and it cost them between $10 and $20 each time they took a guess. Welcome to what we like to call the Laksa gamble. 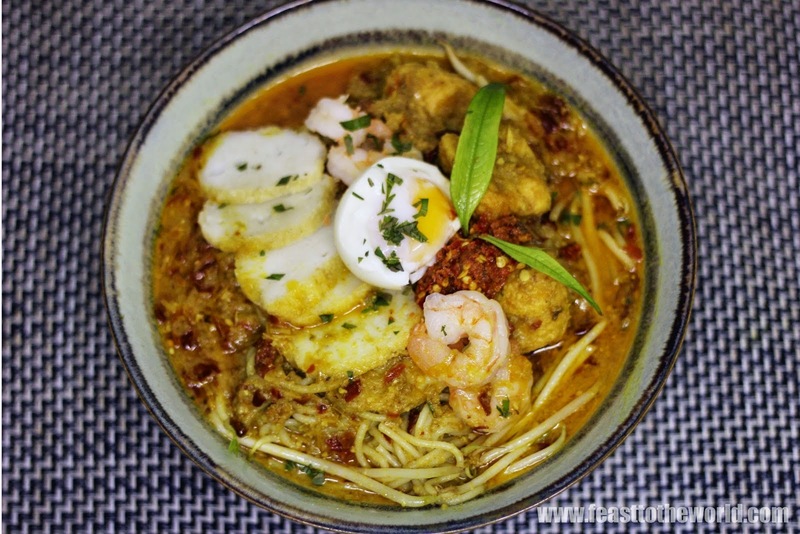 To help our fellow gamblers, this page will contain a list of locations where Laksa can be obtained and their quality levels. Please feel free to scribble your recommendations on our wall in Facebook Land and we'll do our best to include them. As good as an Asian noodle house Laksa. Sammys Kitchen - I have heard people rave about these Laksas so I was very excited to try one. I came to the conclusion that said ravers were tastebuddly challenged because this was perhaps the worst Laksa I have ever had. Ingredients were sparse unless you just want noodles and it tasted like watered down tomatoes. I will try it again just in case the work experience kid made that particular one. 3 out of 10. Harsh but I call them as I taste them. Home Made Holiday Laksa - Videos will be in shortly but this one was a 8 out of 10. Used a jar base but managed to work out the kinks. Could have used a bit more flavour in the sauce but the fresh fish and coriander really made up for it. Curry House - Very generous with their sauce. With a take away they kept sauce and chunky bits separate and I got heaps of extra sauce. Ingredients were good and nice and tasty. Hit just above the Dumpling Inn with a 6 out of 10. 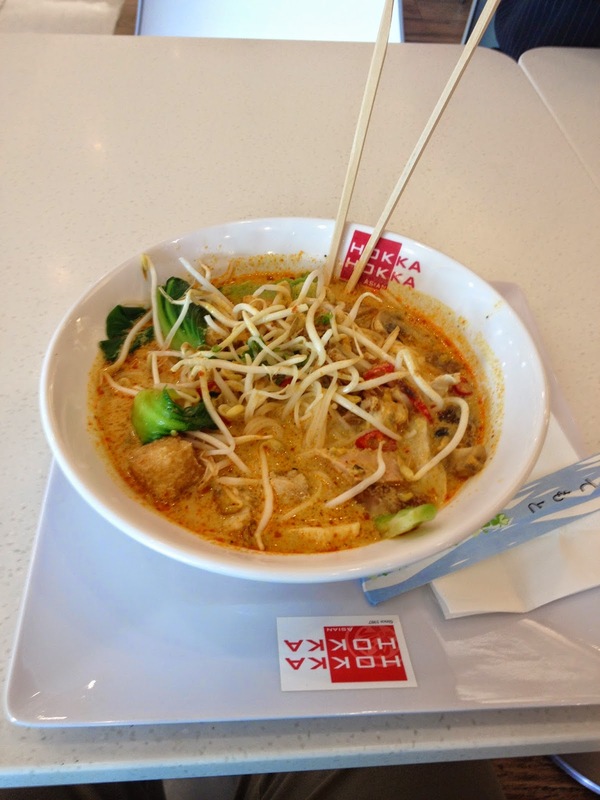 Asian Noodle House (Civic) - I was in and out in a flash and had one of the best Laksa experiences I have had in a long time. Everything was in just the right quantities and it was as tasty as could be. Will have to try a few more times and pick some holes but for now, if you can only get one Canberra Laksa, make it from here. A solid 9 out of 10. Sadly I don't know the name of the place, but it's a small asian deli thing in the Fyshwick markets, somewhere between Plonk and the pet store. The good: $12.50. Not a bad price for a combo laksa. The bad: The price is about the only good thing. The first disappointment was the smell, of which there was little. Soup was mostly tasteless, except for generic chilli oil heat. Colour was insipid glowing yellow/brown. The two prawns still had their tails on. There were weird thin slices of tofu (or possibly mock chicken) instead of the lovely soup-filled sponges that better laksas have. Apart from the prawns, there were no actual chunks of meat - just watery off-tasting dumplings, the content of which remains a mystery, and strange fuzzy balls of what seemed like seafood extender. I suppose if I were being generous, the mung bean shoots had a bit of crunch, and the noodles were inoffensive.